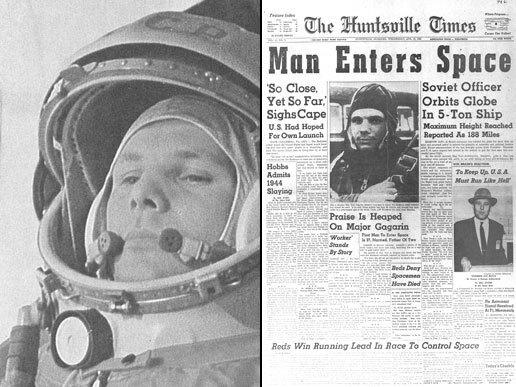 On April 12, 1961, Yuri Gagarin entered the history books as the first human to not only enter space, but to also orbit Earth and return safely. Gagarin's flight was just under two hours long, but in that time he circled the Earth in his ship, Vostok 1. Unlike future space flights, Yuri didn't actually land in his capsule - he ejected from the capsule at an altitude of about 7,000 meters. Vostok 1's historic flight placed Yuri Gagarin into the history books and made him a national hero. Celebrating Gagarin's achievement is the purpose of Yuri's Night - The World Space Party. Founded in September, 2000 at the United Nations Space Generation Advisory Council conference, the first Yuri's Night celebration was held on April 12, 2001. The goal of Yuri's Night is both to honor Gagarin's historic flight and to celebrate all human spaceflight achievements. 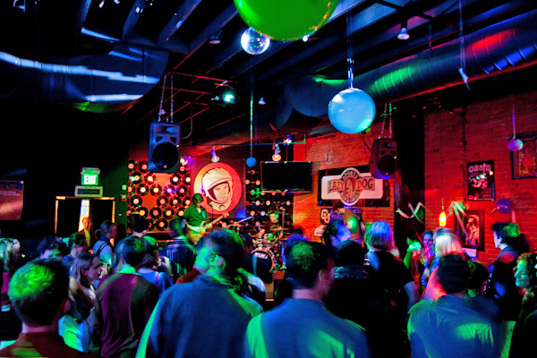 Yuri's Night achieves this goal by encouraging yearly parties on or around April 12 each year, coinciding with the anniversaries of Gagarin's orbital flight aboard Vostok 1 and the first space shuttle launch on April 12, 1981. In 2011, the 50th anniversary of human spaceflight, over 100,000 people attended 567 officially-recognized events in 75 countries on all 7 continents, while thousands more watched the 12-hour live Yuri's Night Global Webcast and participated online in the virtual world of Second Life. How can people participate? Anyone can start a Yuri's Night event, and it's completely free. For starters, you can visit the Yuri's Night event page to see if there is a Yuri's Night celebration in your area. If you find an event in your area, contact the organizers and join the fun! If there aren't any Yuri's Night events in your area, it's easy to organize with your friends and create one. It's not rocket science! To register your own event, simply visit register.yurisnight.net and complete the registration form. After you register your party, be sure to check out the resources available to organizers. 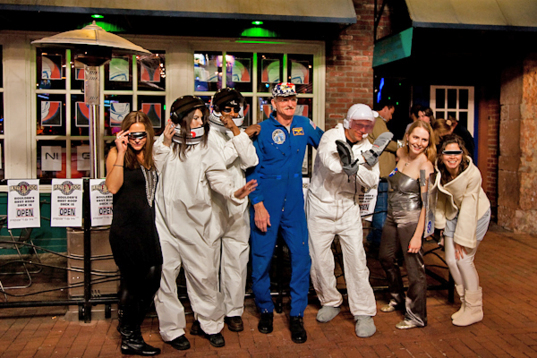 Yuri's Night events combine space-themed partying with education and outreach. Events range from all-night mixes of techno music and technology at a NASA Center, movie showings and stargazing at local colleges, day-long events at museums and science centers, or even friends hanging out at a bar or barbecue. 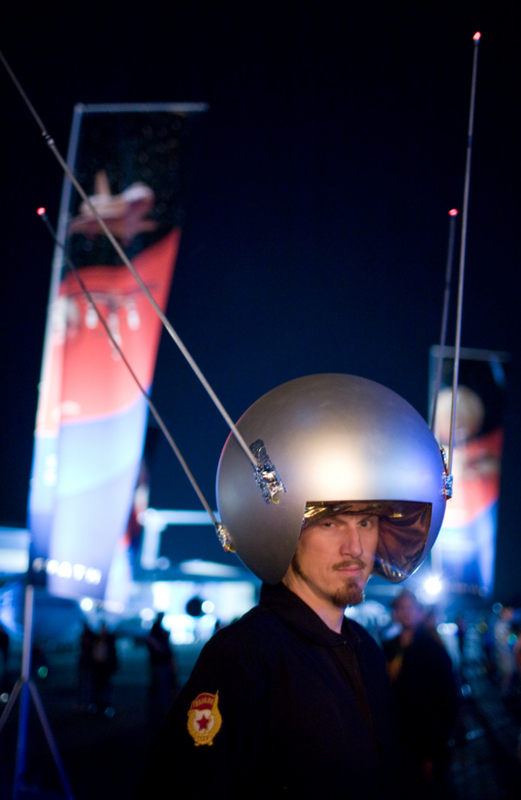 At Yuri's Night Bay Area in 2008, Will Wright demoed space colonization in the upcoming computer game Spore, while musical acts such as Amon Tobin and Freezepop played to tens of thousands of attendees and technological exhibitors from across the Silicon Valley. In 2009, Charm City Cakes from the Food Network show Ace of Cakes made a special Hubble telescope for a public event at the NASA Goddard center. In Tokyo, Sydney, Mumbai, Moscow and hundreds of cities all over the world, students, scientists and space enthusiasts have come together to celebrate space. In the last 11 years, Yuri's Night has featured talks and presentations by Ray Bradbury, Will Wright, George Takei, Richard Garriott, Anousheh Ansari, and many others. Yuri's Night has also been celebrated at the South Pole, Hayden Planetarium, and in orbit on the International Space Station. Yuri's Night has planted hundreds of "moon trees" around the world in collaboration with American Forests, and received the "Best Presentation of Space" award from the Space Frontier Foundation. Additionally, Yuri's Night has trained the next generation of space leaders for organizations such as the National Space Society, Virgin Galactic, and Armadillo Aerospace. Recently, Yuri's Night and The Planetary Society entered into an agreement to help inform Planetary Society members about the Yuri's Night global event and encourage them to host Yuri's Night events in their respective countries and register on the Yuri's Night website. The Yuri's Night team will also be highlighting Society members who are key Yuri's Night team members, as well as those who organize Yuri's Night events. Both Yuri's Night and The Planetary Society will be working together to encourage established Yuri's Night event planners to work with Society representatives and volunteers to improve individual events. Here's more about Yuri Gagarin's historic Vostok 1 flight, and here's more about Gagarin himself. Ray Sanders is a student researcher at Arizona State University. His current research is on variable stars in the SMC, and he is a founding member of ASU's "Astro Devils" Astronomy Club. Ray is also the Co-Director of Outreach for Yuri's Night 2012. In his spare time, he enjoys writing articles for various sites, including The Planetary Society Blog (www.planetary.org/blog), and his astronomy outreach project, "Dear Astronomer" (www.dearastronomer.com).